A translucent textile is designed to let a percentage of light through the textile. This gives architects and designers the flexibility to build intricate lighting and illuminance designs into their plans. Translucent 50 allows percentage of directed light to travel through the textile. When backlit this creates a stunning glow across walls and ceilings. Combined with our wide-span printing technologies, it is now possible to add incredible image effects to backlit surfaces to create amazing interior spaces. Click here to learn more about Stretch Fabric Installation. 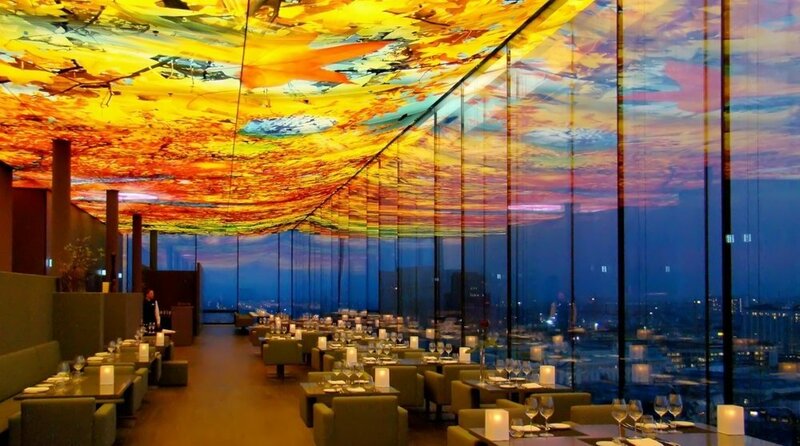 What is a Printed Stretch Ceiling? Keep up with Popcorn Ceiling Solution on social media.